Massive Chinese marketplace Alibaba moved to fend off charges that it deals in pirated goods by describing in a letter to the U.S. government its "steadfast efforts" to fight counterfeiters. The statement came in "submitted comments" to the U.S. Trade Representative in response from trade groups to put Alibaba on the government's "notorious markets list" for offering pirated goods. Alibaba denied in its submission Wednesday that it is a marketplace for counterfeit goods. "We routinely collaborate with brands, associations and regulators to maintain the integrity of our marketplaces. Our recent USTR [United States Trade Representative] submissions describe our steadfast efforts to fight counterfeiters online and the sources of such production offline. It also reflects our very strong commitment towards intellectual property rights protection," the statement said. 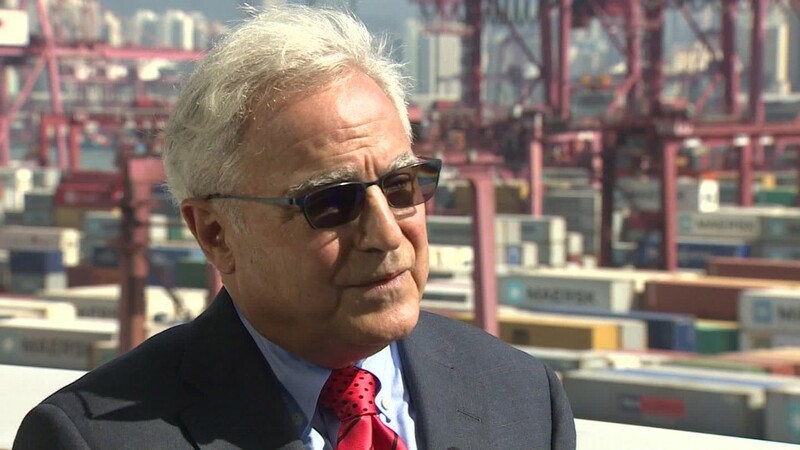 Rick Helfenbein, the head of the American Apparel and Footwear Association, said the Chinese retail giant must "clean up their image." Helfenbein told CNNMoney that Alibaba, one of the world's largest online retailers, doesn't do enough to police counterfeit goods sold on its sites. "They are the bad boys of retail right now, and we need to clean that up," Helfenbein said. The AAFA represents over 1,000 brands, including Abercrombie and Fitch, (ANF) Calvin Klein, American Apparel, and Kate Spade. The association is one of 15 trade groups asking Washington policymakers to put Alibaba back on the government's "notorious markets list" for offering pirated goods. Alibaba and its Taobao shopping platform were included on the list in the past, but the Office of U.S. Trade Representative removed them in 2013, saying the company was making efforts to address the counterfeit issue. But in a letter sent to the USTR Wednesday, the groups argue Alibaba has failed to make any noticeable changes. "At any given moment, a consumer around the world can chose from hundreds of thousands of counterfeit clothes, shoes, travel goods, handbags, toys, auto parts, jewelry, watches, furniture, electronics, pharmaceuticals, and other articles," the letter said. Chinese regulators have in the past criticized Alibaba for being "far too lax" when it comes to combating counterfeit products. Last year, the Chinese State Administration for Industry & Commerce issued a damning report on Alibaba. It said that only a third of the products purchased on its Taobao platform were "genuine."